Paid By Cash- The New Addition For Our Family Home! Hi My name is Cynthia Guptill and our story starts back in 2007. Join me on our life’s journey to find out how we Paid Cash for our Dream Renovation. My husband Randy and I met in Calgary, AB, when we were out there working alongside everyone else during the economic job boom. After we married I got pregnant and we both decided that the cost of living was far too much to try to raise a family in the city. We had to make some decisions for our little soon to be family. At the time we were paying a whopping $1100 a month rent for a basement apartment that met our needs but was far too expensive. Soon after we found out about the pregnancy, my husbands great-aunt passed away. We later found out that she had left her lovely home to my husband in New Brunswick in her will. The petite home is very nice and boasts one bedroom, which was fine for the two of us. The problem was we had one baby on the way (Connor, now 5) and another baby soon after (Sadie,now 3). So, there were four of us living in this one bedroom house,but we made it work! Now with 4 mouths to feed we had to make our money stretch to keep out of debt. We learned how to budget every dollar and never used our bankcard. Once a week we went to the bank and withdrew our weekly budget in cash. Also each time our Money Master Bank Account was at $5000 we would withdraw the money to buy gift cards for our local hardware and supply store. We bought the gift cards because we felt that if we just put the money in a drawer we may be tempted to spend it. Since we were lucky not to have a rent or mortgage payment, we continued to keep budgeting our money. We decided we would stash away just as much as we would as if we had a monthly mortgage. It’s one of those out of sight out of mind type emergency savings plans but you know it’s there. As time went on our account accumulated enough cash to finally make our dream renovation come true. 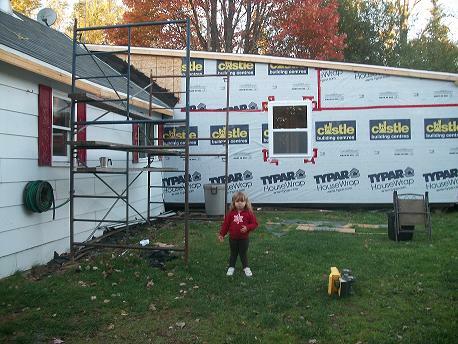 We have recently built a 14 by 24 addition onto our small house, and we PAID CASH for all of it. The addition to the house is still in the construction stages but we just finished with the new wiring and electrical upgrade. To date we have spent a little over $11,000 cash on the addition. We will spend around another $5000 to finish off the project and we couldn’t be happier. Yes, at times we are tempted to go to the bank to get a loan as it’s that easy to do, but we turn away. We only have to look back at how far we’ve come since we’ve moved in our family home. My husband and I are now 40 years old and we have one credit card that is almost paid off. It doesn’t get any better than that and we love our life!! Connor is looking forward to his first sleepover in his new bedroom! Would we do it over again? Of course, but we would never buy anything that we couldn’t save up the money and pay cash for ourselves. I urge everyone to consider paying down your debt and building your life from cash every step of the way best you can. The feeling of satisfaction knowing that what you have, no one can take it from you if you miss a payment, is worth a million bucks to us!!! You can Follow Canadian Budget Binder on Facebook HERE or Twitter HERE! If you have a PAID BY CASH Story you would like to Submit it please email me with your story today! The Grocery Game Challenge-May 7-13 What’s Your Savings? Is The Tax Free Savings Account For Me? The main point is to have a financial short term and long term plan and then stick to it the best possible. Right now we are not able to put away money into savings (a mistake but it is not possble even though everything has been cut to the limits on our living expenses and exxtras), but we can invest ongoing in this house so that in 11 years we won’t have a mortgage and in the long run we will have a home paid for. 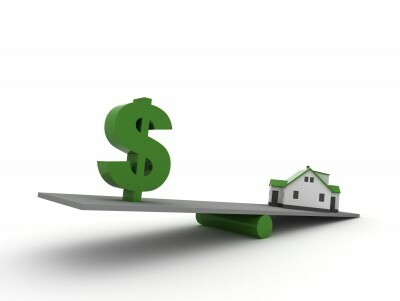 If we had continued creating more debt (with the exception of the new furnace we may have no choice but to buy to replace the one here due to age), we would never have owned because all of our monthly income every month would be taken up in renting. There is no future in that I am sorry to say as you never own anything in the end. But then that is my view, others will see that differently I am sure. I think the main aim is to have a goal and then the steps to work towards meeting it that are realistic and can help you longer term in life. These steps will place you in a better financial position to reach the points that you need to in order to have less worries about being financially stable as it is a step by step process and one we work on daily in our home. In part because we have to, but in part because it is just plain smart. Amazing story – you should be very proud of yourself. It’s so nice to have something you’ve worked hard for and paid for in full! Wow amazing story!!! Very inspirational!! Great idea with the gift cards never thought of that will have to use that in the future! What an inspiration! I never thought to buy giftcards….makes so much sense!!!!! We are thinking of starting a basement reno…..I think it would be a great idea to start buying some gift cards! Thanks!!!!! inspiring post! I’ll take her words into consideration- about paying off debts, and using cash to buy things. that way you’re not in over your head in credit card bills! Thanks for the post! Wow, what an wonderful story, Thank you for share. My husband and I are doing the cash budget to save our money for our dream house! Thanks for sharing your story. You and your husband showed a lot of discipine in your budgeting, something I am sure a number of people could not do. Cynthia, you should be proud of how hard your family worked to save the money for your new addition. Another inspirational story! Awesome post thanks for sharing.I never thought about buying gift cards,great idea!!! Great job! What a lovely thing for your husband’s aunt to do! Not paying a mortgage would be really nice! It seems you are extremely happy paying with cash as opposed to credit. No stress due to finances is definitely a great feeling. Wow this is awesome Cynthia!! Way to go! It sounds like you are very happy with your results of paying cash as opposed to credit. Lack of financial stress definitely has its benefits.